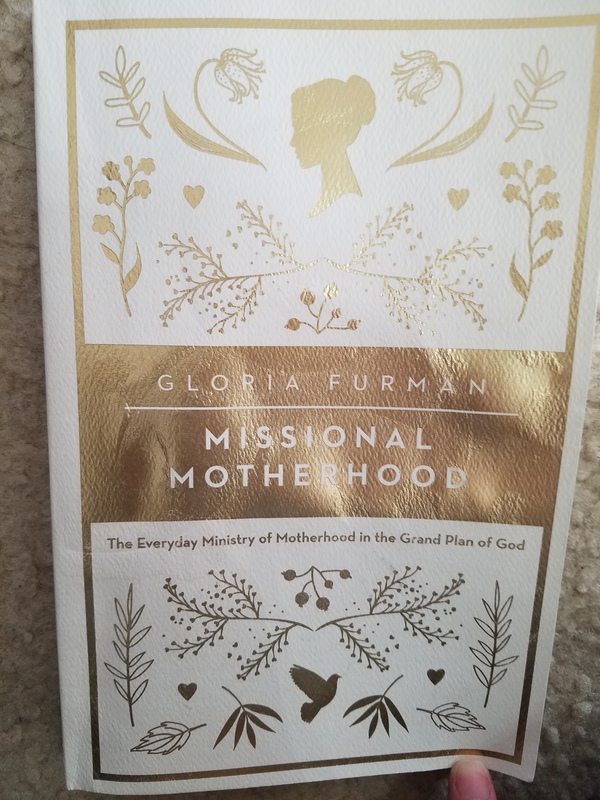 For my birthday last year my husband gave me “Missional Motherhood,” by Gloria Furman. Only a month post-partum at the time, I didn’t have much time to read it. While I slowly made my way through the first half, I was able to read the second half, much quicker (after limiting my television time and using the time that baby girl was asleep, more efficiently). When my husband brought this home for me, I was excited to read it. I’d worked in the Christian bookstore during my first trimester and saw this book on the shelf. It definitely piqued my interest. Little did I know that this book isn’t only for mothers, but all women who mother or nurture others. “Mothering is a calling for all women. Every Christian woman is called to the spiritual motherhood of making disciples of all nations,” states Furman. She states that nurturing, or mothering, involves discipling, serving, caregiving, teaching, showing hospitality, and more. I’d never thought of discipling young women in this manner before, but it makes sense. Whenever I’ve taken young women under my wing, I have, in a sense, felt as though I were mothering them. The first half of Furman’s book talks about the Old Testament of the bible, where motherhood fits into the grand plan of God, and our most important need for a right relationship with God. The second half of the book describes Christ as the Creator, Redeemer, and resurrection life of motherhood; and as every mother’s Prophet, Priest, and King. There is so much truth to unravel in this book that I will probably be writing more posts based on it in the coming weeks. I highly encourage all of my women readers to pick up a copy of this book for yourselves. God designed us to serve Him in a intentional way, to glorify Him, and make disciples…so, what are we waiting for?